Warm up a living room, office, bedroom, or dining room with our Amish Serenity Electric Fireplace Entertainment Center. 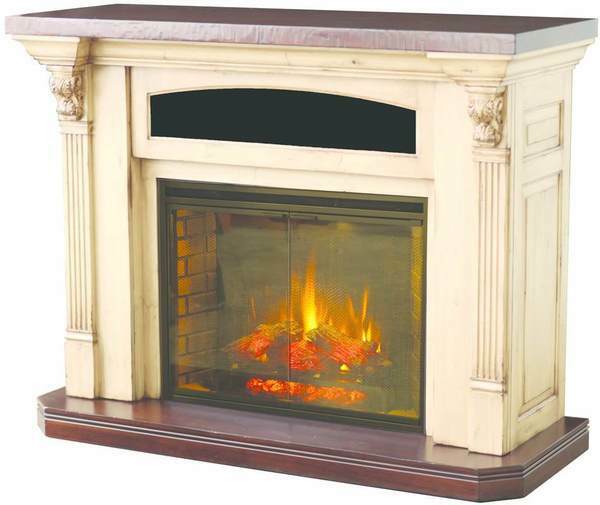 Its solid wood frame will add beauty to any space, while a built in heater insert with glass doors will keep you warm. This colonial style electric fireplace entertainment center is fully operational by a remote control and will help save on heating costs. Place your flat screen TV on the mantel or hang it above the mantel to create a toasty spot to enjoy TV shows and movies. Customizable in your choice of wood type and finish from a variety of options. They delivered the Fireplace early this morning. It is absolutely gorgeous, finish is impeccable. Such high quality. I am so pleased. We don't have the TV set up yet, but had to get to work today. THANK YOU for all your patience! !